Quetta Gladiators today performed one of biggest chases of Twenty20 Cricket. Today while playing first the Lahore Qalandars were able to put up very big total of 201 on scoreboard while playing their 20 overs. But amazingly Quetta Gladiators played even better and were able to chase the total. Match was alive till the very end of the second innings. 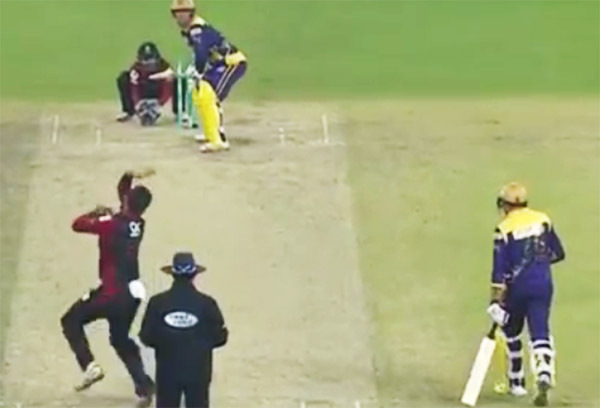 In fact Quetta Gladiators completed their chase on very last ball of match’s second innings. While playing first Chris Gayle from Lahore Qalandars scored 6o on 34 balls with the help of 6 sixes and 3 fours. Azhar Ali scored 61 on 45 and Umar Akmal Scored 55 on just 25 balls Not Out. Dwayne Bravo did 20 on 19 Not Out. The total added up to 201, which was huge Challenge for Quetta Gladiators. From Quetta Gladiators Zulfiqar Babar and Grant Elliot got on wicket each. Also Grant Elliot was the most economical bowler as he given relatively low 26 runs in his 4 overs. Most expensive bowler turned out to be Anwar Ali who given whooping 57 runs in his four over and was not able to take any wicket. Unlike Lahore Qalandars the batting Quetta Gladiators comprised of several small individual totals instead of few big ones, however one fifty plus is worth mentioning. Its 55 runs scored by Bismillah Khan on 30 balls which included 10 fours and 1 six. Bismillah Khan played his first PSL Match today also he never played in National team, so he was another talent that Pakistanis today discovered. He was also name the “Man of the Match” today for his tremendous hitting. Kevin Peterson Scored 34, Kumara Sangakkara scored 37 and also Muhammad Nabi Scored 30 on 12 balls. Muhammad Nabi was the one who actually finished the match up, he was from tail endears. 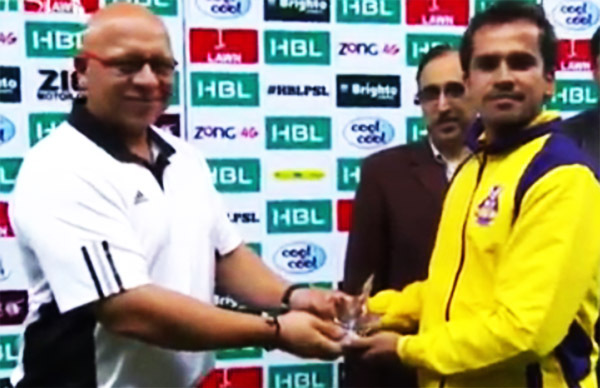 Everyone thought its game over for the Quetta Gladiators but 30 of Muhammad Nabi did the job. He hit 3 fours and 2 sixes. In fact a boundary on last ball of 2nd innings of match came from bat of Muhammad Nabi. It was absolutely required. Lahore Qalandars bowlers did very good job but they were out of luck today, as they were not able to secure the victory. Ehsan Adil took 4 wickets by giving 39 runs in 4 overs, Dwayne Bravo secured 3 wickets by giving 30 runs in 4 over and another wicket taker was Kevon Cooper who took just one wicket by giving 37 runs in four overs. No other bowler from Lahore Qalandars side was lucky to secure a wicket. Overall it was very good, high energy, thriller Pakistan Super League (PSL) match. Lahore Qalandars did very well but Quetta Gladiators took another well deserved victory. Thumbs up for both teams for top notch game play, winning or losing is just part of the game. Plus one for the Pakistan Super League, its going very good with such thriller matches.